How Goose Island brewmaster Brett Porter keeps his focus on the art of beer while experiencing rapid national growth. Check out the podcast with Brett Porter here. If you thought that the real beer nerds who get excited about both honoring tradition and diving into experimentation were working for the smaller upstart breweries, then you should speak with Brett Porter. Just ask him about Hallertau hops or Klages barley strains or the reverence he holds for everyone from craft luminaries like Ken Grossman to local peers like Pete Crowley to the actual hop farmers themselves. 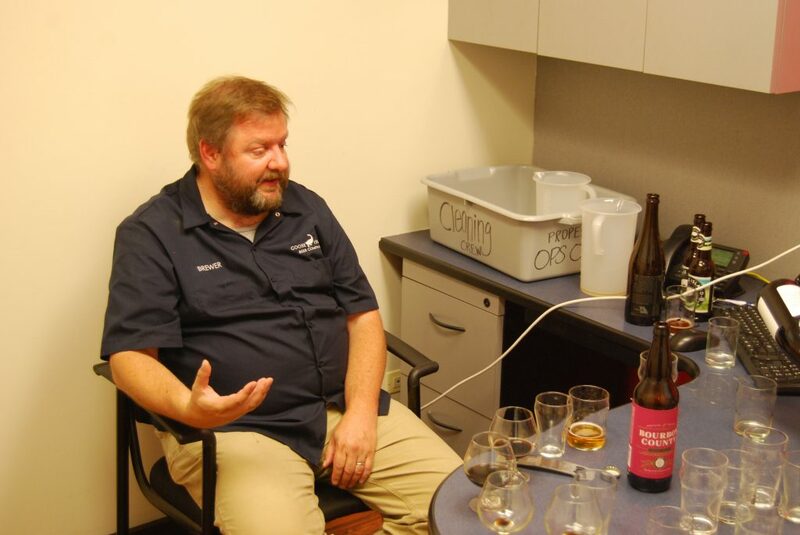 Talk to him about shaking Mulberry trees in the Chicago parkway and experimenting with unpredictable yeast strains and the possibility of introducing Pinot barrels into their warehouse. Porter is still just as excited to be a part of the craft beer industry as he was 25 years ago. 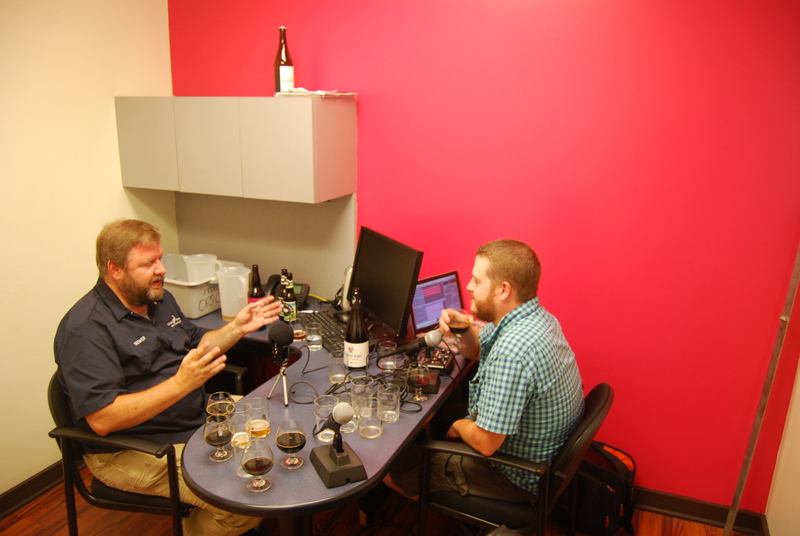 We had a chance to sit down with the man himself for our ABV Chicago podcast, ask him questions, and drink beer while he spoke with genuine passion about finding himself in his dream job. Brewmaster at Goose Island Beer Company since 2011, Porter wants to assert that the brewery is just as handcrafted and experimental as the younger breweries while acknowledging its growing national footprint in the craft beer market. To Porter, Chicago’s ever-growing craft beer industry is exciting, despite being a bit hard to keep up with. He admires the work being done by brewers at Haymarket, 3 Floyds, Une Année, and former Goose employee Wil Turner at Revolution. But how does he feel about Lagunitas building a larger craft brewery on his turf and how that might alter the impact of Goose Island? 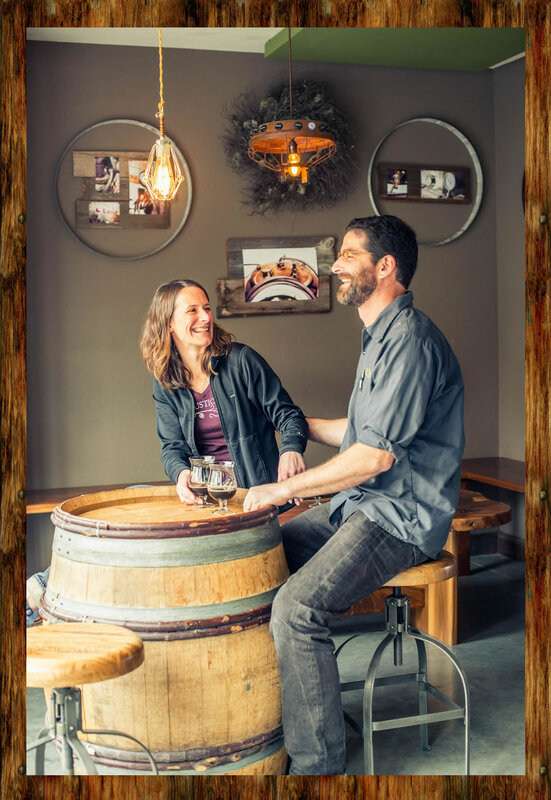 A native Oregonian, Porter now sees Chicago as his true home, and a place where he has found the most inspiration to take creative risks as a brewer and feed on inspiration from other craft brewers. 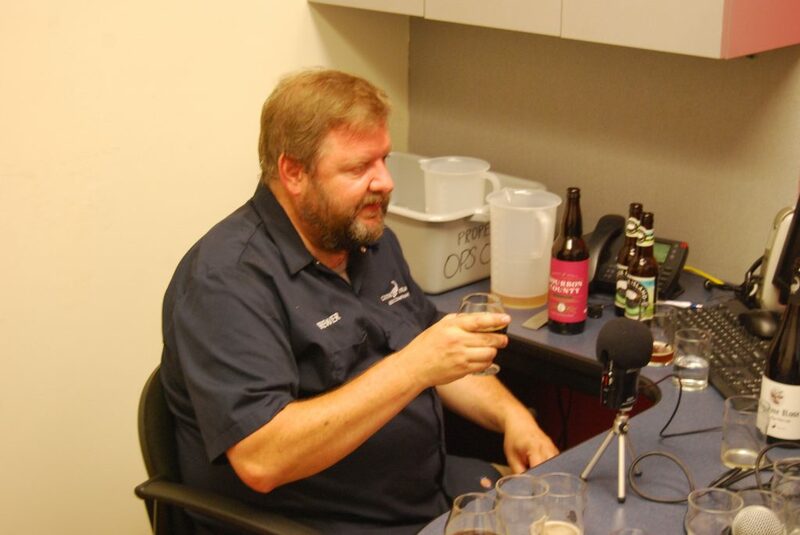 During the course of our podcast recording, Brett was not only generous with his time – over 3 hours – but generous with his beer as well. 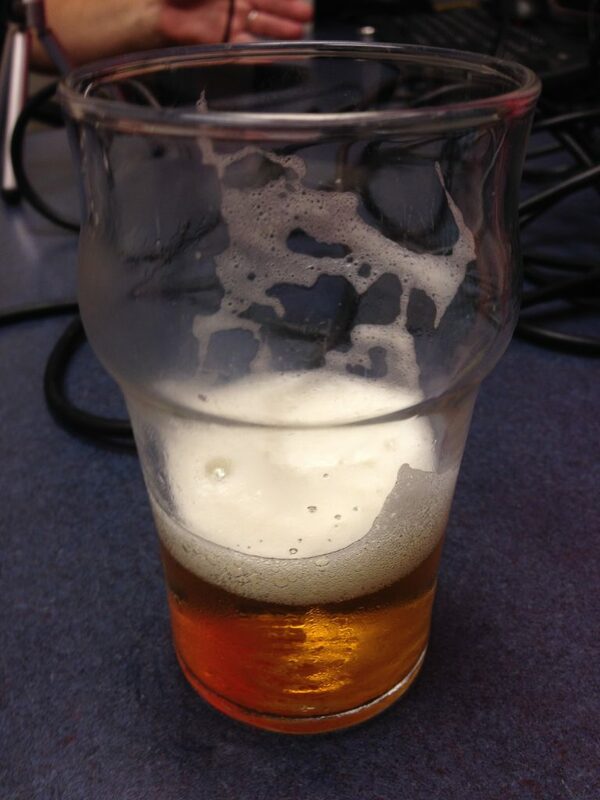 The first beer we tasted is one that thousands of people will be imbibing this coming weekend in Chicago’s Union Park. Goose Island will again be sponsoring the Pitchfork Music Festival in Chicago during the weekend of July 18th. They’ll be continuing the tradition of brewing beers specifically for the festival: last year saw Forcone (an early version of their Endless IPA) and their Run The Jewels collaboration. For one of the specialty beers for the fest, the staff at Pitchfork provided Goose with some ideas of what they’d like in a beer, and together they came up with a lager called Recommended, which Porter calls a “riff on a German pils” made with the Augustiner lager yeast strain and lightly hopped for aroma. Another beer he’s exceptionally proud of is this year’s release of their Belgian-style sour brown ale with cherries, Madame Rose, which he calls, “the best wine barrel-aged beer we’ve made yet.” But as many sour beer producers will testify, some unplanned experimentation made it what it became. After a year in the wine barrels, they were not pleased with it, so they added more sour cherries and “a brewery-made lacto culture to sour it up a bit more.” What results is a yeast concoction that Brett says is very close to the Roeselare Blend, a blend of yeasts used in many world-class Belgian lambics and gueuzes to enhance the sour cherry quality while adding dryness. In addition to the Montmorency cherries from Mick Klug Farms in St. Joseph, Michigan, subsequent batches of Madame Rose, which will be released “whenever we decide it’s done” will also contain Schaerbeek cherries from Seedling Farms from South Haven, Michigan. Schaerbeek cherries are used to obtain a unique sweetness along with a sour flavor found in many traditional Belgian styles. Now here’s the part many you have scrolled through this article looking for. 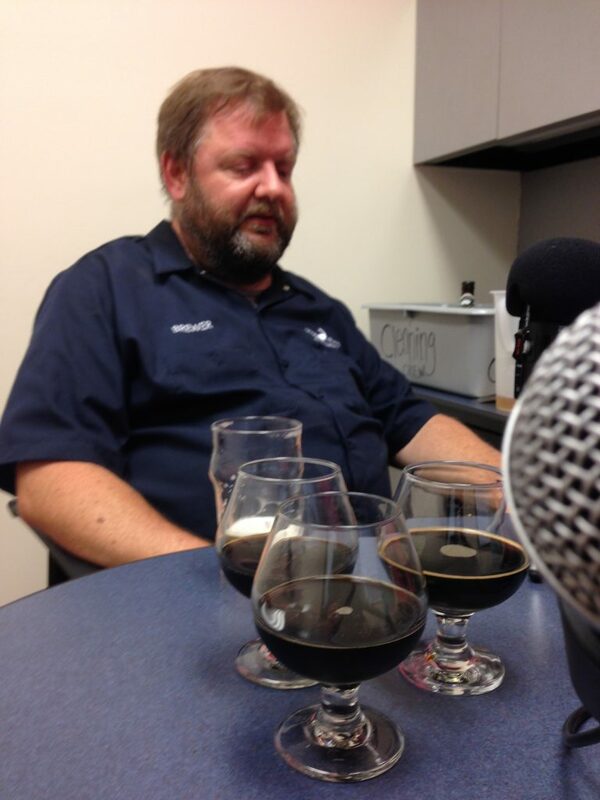 What can Brett Porter share with us about this year’s lineup of Bourbon County Brand Stout? Would he have to remain tight-lipped under some company policy to avoid stepping on the toes of some marketing rollout? Would we be releasing a podcast with hours of redacted recording due to the legal team of AB-InBev telling us to guard this sensitive material? Nope. He just told us. Over glasses of last year’s Backyard Rye version of the Bourbon County Brand Stout, Porter divulged the not-so-guarded secret of this year’s variant. After being repeatedly approached with the same request in cities all over the country, Porter finally said, “enough is enough” with a not-so-well-hidden grin. This year we’ll see the return of Bourbon County Vanilla. 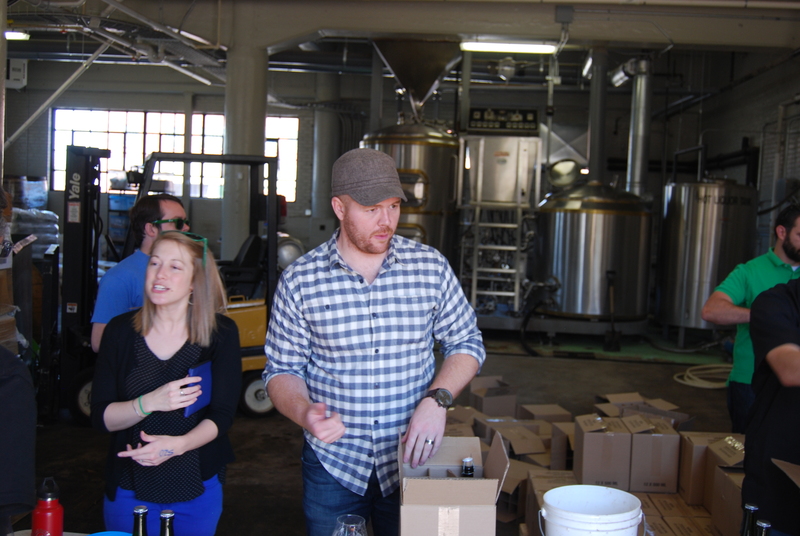 They did extensive research and hands-on exploration of the capabilities of the vanilla bean before deciding on the right mixture for the stout. Early on, Porter was leaning towards the notoriously-expensive Tahitian vanilla bean. In the end, they preferred the flavor of Mexican and Madagascar vanilla beans, $50,000 worth of which are “on the premises”, he lightly boasted. The 2014 iteration of the Bourbon County coffee variant will feature Rwandan coffee beans that were chosen with the help of their longtime collaborators (and neighbors), Intelligentsia, for whom Porter has tremendous admiration. On the topic of high bars, Porter revealed that this year’s Proprietor’s variant of Bourbon County will likely eclipse the highly-regarded toasted coconut version from last year. This year’s version will include unrefined Mexican sugar that’s made into a syrup with coconut water, Cassia bark (which is basically cinnamon with richer flavor) and Ugandan Chocolate nibs. Another thing that should get patient Bourbon County fans excited is the somewhat-distant, somewhat-return of the elusive Bourbon County Rare, which Brett admits won’t really be the same beer ever again. For this version, they’ve obtained older barrels – some filled in 1978 – that Porter says will “make the Pappy barrels seem like youngsters.” The barrels have been filled, and they plan on holding on to them for a few years before releasing anything in bottles. At this point, he’s not sure of a name, but he’s certain it won’t be called “Rarer,” which sounds like something you’d slur out after a few glasses of Rare. Despite this obvious attention to quality and regular forays into major risk-taking, Goose Island still has to step outside of the shade cast upon them by those that think they spiritually “sold out” to AB-InBev. But Porter sees the acquisition as an opportunity to do what any craft brewer would do if they could: take advantage of a gigantic company’s access to the best hops and barley available anywhere in the world and make spectacular beer. 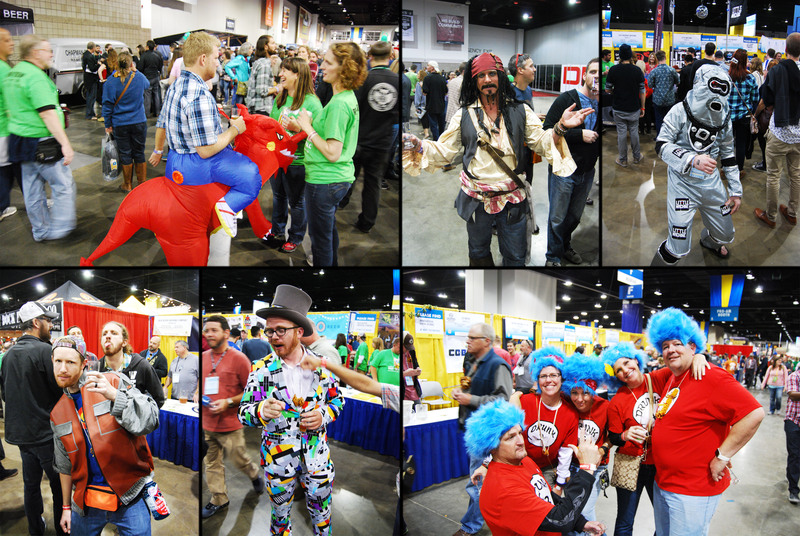 Getting these resources into the hands of a brewer this passionate about where beer has been and where it is going should be a source of excitement for any craft beer drinker.